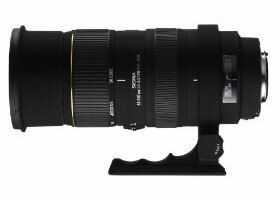 SLR Gear has tested the Sigma 50-500mm f/4-6.3 EX DG HSM APO RF lens (also known as Bigma). This lens has an impressive zoom range that fit the needs of birders and wildlife photographers so it is interesting to see how the picture quality is at the long end of the zoom. The Sigma 50-500mm is available for many different camera mounts including Canon, Nikon, Four-Thirds, Sigma, Pentax and Sony. SLR Gear gives the Sigma 50-500mm f/4-6.3 EX DG HSM APO RF lens an ok review as the lens is not the sharpest lens they have ever tested, but what can you expect with such a big zoom range. At some focal ranges and apertures you can get pretty good results. Chromatic aberrations and distortion is also well controlled. Overall this ultrazoom lens from Sigma seems interesting if you need a big zoom range for birding and wildlife photography. Read the full review of the Sigma 50-500mm f/4-6.3 EX DG HSM APO RF lens here.